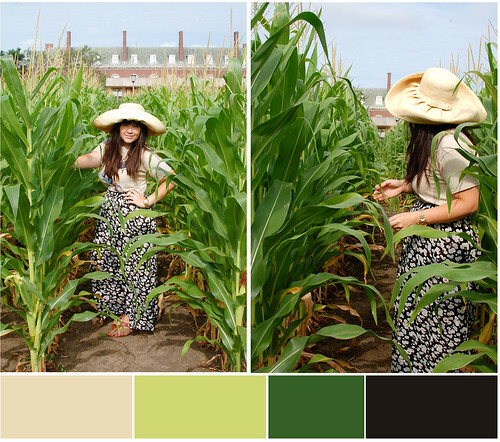 This color board was inspired by the Morrow Plots in Champaign, Illinois. Established in 1876, it's America's oldest experimental corn field and the second oldest in the world. Champaign was the starting point in the road trip that I took with my sister earlier this month. More posts from the Midwest to come!